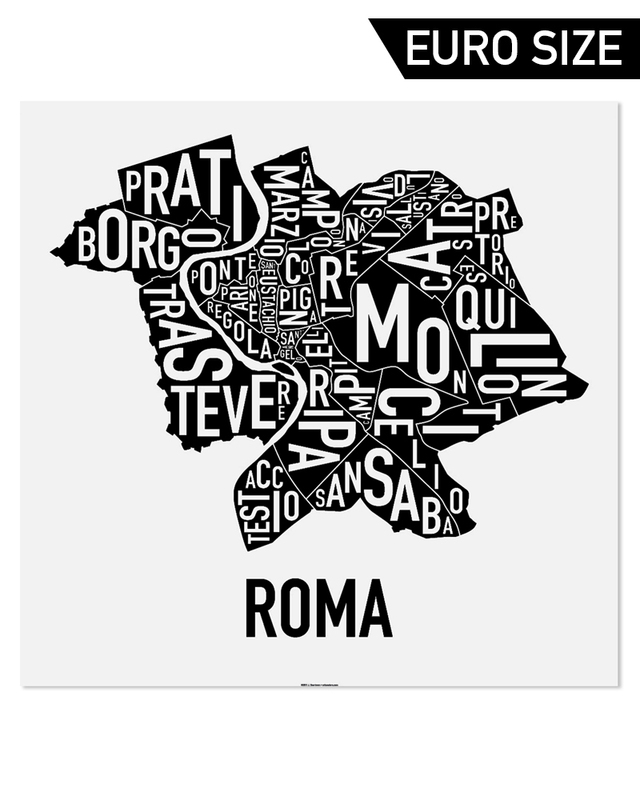 Our Rome map in an internationally-friendly size. 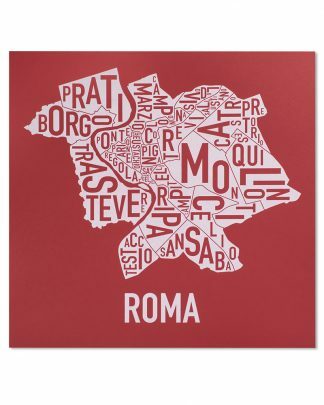 50cm x 50cm typographic map of the 14 Rioni di Roma as established by Augustus in the 14th century. 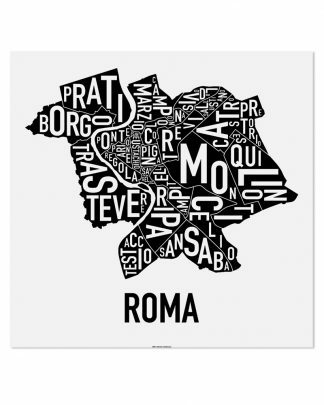 The letters of each district name are twisted and turned to fit inside the area of the district.